Complete ONE requirement to earn this patch. We make it easy. Click here FREE worksheets to complete this program. 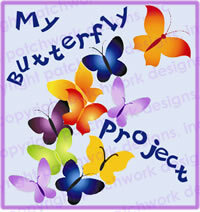 This is a fun way to learn about butterflies or create projects about butterflies. Children may have already earned this patch in school. You can earn this patch anytime of the year to learn about butterflies, grow butterflies or complete community service. Click here for the FREE worksheets to complete this program. Click here for the FREE KIT and PATCH PROGRAM!